Let us just bow our heads for a moment. Father, we do thank You for Your goodness. We thank You for Your presence. We thank You for the power of the Holy Ghost, but most of all we thank You for the life-giving, life-supporting, death-defying blood of Jesus Christ. Father, there is no stain that is dark enough that it cannot wash and cleanse and bring to a position and a place of absolute and perfect purity. There is no stronghold that is strong enough, or perverted enough, or smart enough, Father, to resist the power of the overcoming, life-giving blood of Jesus Christ. Father, we invoke the blood this morning, we invoke it upon our minds and upon our emotions. Father, we are asking that You sanctify our minds this morning with the power of the blood of Jesus Christ. Father, possibly, in our business of the day, in the excitement of being here and moving, Father, we forgot to come to Thy throne and to Thy presence and ask for the sanctifying power of the blood of Jesus Christ, that it might cleanse our minds and that it might take captive every thought and every ambition. My God, that it might take captive the mental processes of our thinking, that in the midst of that thinking You might be exalted; You might be exemplified; You might be lifted up; You might be manifested. Father, we invoke the power of the blood upon our emotions. Father, let it be upon every emotion that the human soul is capable of, whether in a masculine body or in a feminine body. Father, we ask for the power of the blood of Jesus Christ to move and bring the peace that passes understanding and an awareness of the presence of the Living God. Let the Power of the blood be upon our emotions. Oh God, we present unto You this morning, our wills and our desires. Let it not be that we desire this or we desire that. Let not our minds be wandering out into this afternoon, but, God, let them be desiring the manna that comes down from heaven and that perishes not. God, we ask for the manna. Let us desire that portion of the anointing that brings sanctification and a purity of purpose to the realm of our desires. God we would ask that You purify this morning, our purposes for being here. God, purify our soul that we might receive of the essence of the life of Jesus Christ. And finally, God, we bring to You our wills. Sanctify our will this day. Sanctify it by the power of the cleansing, anointing blood of Jesus Christ. Let each one of us this morning present to You our will, that we can say, “Not my will, not my desire, not my emotion, not my opinion, not my mind – but Your will be done!” We ask it in Jesus’ Name. Amen. I believe that we are living at the end of time. Now that is my personal belief. You do not have to believe that if you do not want to, but I believe that we are living at the end of time. I do not believe that it is the beginning of the end, but I believe that it is the end of the end that we are living in. There is an expectancy that is within me to see the power of Jesus Christ coming to infill His temple. I know that my soul cries for that experience. My whole being is becoming focused upon the aspect of Jesus Christ coming into His temple; in a power and in a form and in a fashion that will bring every aspect of this temple under His jurisdiction, desire and purpose; so that there is no purpose and there is no desire outside of His desire that would move within my being! Hallelujah. Hallelujah. We, of all people, have a peculiar doctrine of the coming of God and yet it seems that many of us, as a people, spend much of our time involved in activities and in the mechanics of life, so that it is as though that doctrine wasn’t our doctrine at all! Do you know that in the 3rd Chapter of Malachi, the Bible says that He is going to come “…like a refiner’s fire, and like fuller’s soap:”? You have heard it and have read it so many times and many of you probably have even ministered on the aspect of the “refiner’s fire” and the “fuller’s soap” and yet I do not know that we have the reality or the concept of what the refiner’s fire is going to be, or the composition of the fuller’s soap and the causticness of its action against the environment in which you and I find ourselves living in! Hallelujah. It was around the corner! Where we were standing there was glass and metal and concrete and the windows of the buildings that were towering above us were all broken out and the metal was all twisted. Signs were torn down and the signs of destruction were everywhere! We walked around the building and into that area where the blast went off. It brought down a nine-story building and reduced it to complete and total rubble! You could look around and you could see the blood upon the wall and God began to speak to me of the diabolical mind that has been loosed in the world, the diabolical mind that has as its goal the destruction of humanity. There was no consideration here for flesh. There was no consideration for the sanctity of life. There was no consideration for humanity at all! There was just the overpowering desire to bring destruction unto death – indiscriminately – to obtain a goal that they were calling “God”! They were after Americans but the blast was indiscriminate. It was indiscriminate: two hundred ninety-four Kenyans died, over five thousand were injured! OH, MY GOD, IF WE COULD ONLY UNDERSTAND THE REALITY OF THE POSITION AND THE PLACE OF DESTRUCTION THAT SURROUNDS US AND THE IMMINENT COMING OF THAT FORCE UPON OUR OWN LAND – WE WOULD NOT BE SO COMPLACENT. We would not be so readily able to forget the Word of God as it comes to us on a particular level, in a particular place, under a particular anointing! We do not need more revelation. Do you understand? We do not need more revelation. The revelation that we have is sufficient to bring us into a position and place where we come into the very presence of God. It is sufficient to equip us with the necessary tools to allow the process of that revelation (that we have heard with our ears and our mind has grasped hold of) to begin to do something on the inside of us that will change us to make us ready. I hear something in the Spirit like the blast of a trumpet! It is very, very disconcerting to me to sit down in front of a TV to watch news. It is very disconcerting to me to pick up a paper and begin to read because as I begin to read the voice of God begins to talk to me and I see the balance and I see that it is tipping no in our favor but against us. It is tipping against us because of our lack of understanding and because of our lack of ability to believe the word that has been ministered and the thing that has been sent unto us for all these generations! Oh my goodness! Brethren, it is not in having more revelation that we are going to become sons of God. 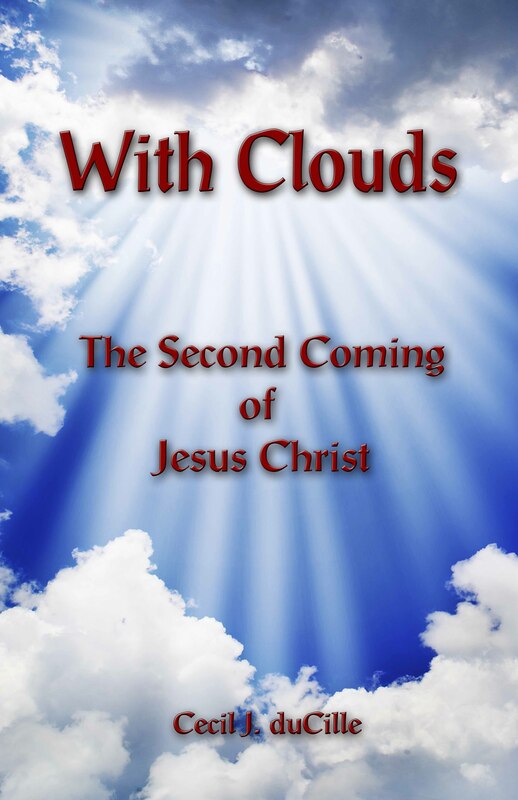 I think we have something of a rapture doctrine that is wrapped up in the revelation of the infilling of Jesus Christ. Do you know that there is a perfection that you and I can obtain unto without the infilling? Do you know that? There is a place that we can position ourselves in with regards to God so that when God looks at us He does not yet see the incompleteness of our own soul, or the things or the attributes that would create a problem for us in righteousness, but He sees our willingness to submit to the operation of perfection! He sees the willingness of our being to cry out to Him in the midst of our travail, that God might change us irrevocably! Change us! Change us! Change us irrevocably so that there is no going back and there is no desiring or wanting that attribute or that thing that brings defilement. It is a scriptural position and lest you think that it is not scriptural I suggest that you look at the account of Noah. The Bible says (in Genesis 6:9) that God found Noah “…perfect in his generations.” Now if Noah could be perfect in his generation do you think that it was something that was relegated absolutely and entirely just unto that generation in which Noah lived and worked and died? It cannot be that way because the Bible says that God is not a respecter of persons. He would not do something for Noah in Noah’s generation and not also give us that opportunity. He recorded it, kept it and preserved it for thousands of years as an account of Scripture so that you and I might read and have a hope that we too could walk perfect; that we too could be walking in a perfection that is pleasing to God! Especially you and I who have the infilling of the Holy Ghost, whereby God comes inside of you and takes up residence inside of you! The holy God, the magnificent Jehovah Jireh! The magnificent Jehovah Shalom! The magnificent Jehovah Nissi! The magnificent El Shaddai! He comes and walks down into the very midst of our soul and we treat Him with very little reverence. We have very little realization of the magnitude of God that is inside of us. We take Him into secret conversations. Do you hear me? We take Him into secret conversations. When we begin to talk about someone or something in some way that is not righteous – we take all that God is into that environment! We take Him into that environment and we take Him into our planning and into our organization – we take God in there with us! Prepare it! It is not something that your wife can do for you. It is not something that your elders can do for you. It is not something that your husband can do for you. It is something that you have to do with God and with God alone! At least he had one step up on the ladder, for he did not have an overestimation of who he was. Many of us, because of the knowledge we have with regards to the Word, are moving in a spirit of presumption. Not only in the aspect of the knowledge, but against those that come as an instrument of righteousness! Do you hear me? We move in arbitration with them! We are not contending with man that has an anointing but we are contending with man that has a disposition and a commission from God! The calling and election is not by the knowledge that you possess, or the aspect of your awareness of the message and how you formulate it and how you lay it out! It is not even in the aspect of how you minister! The truth that is evident is the calling! It is the word that has been spoken with regards to the individual and the word that he possesses. And in the calling that God called this man Gideon, there was an anointing that God put upon his life. Amen. There was anointing that God put upon his life and there was recognition of this that Gideon had within him. Paul had that understanding. If you read Paul’s letter to Timothy, he had that understanding. It was on the calling! It was on the election! So Gideon came and you notice there was not a crowd around. There was not a crowd around to confirm this calling and election. It was something that was done in secret in a secret place with Gideon when he was alone with God. We think that the callings and the election need our confirmation or our acquiescence. I have got news for you. It has nothing to do with it! It has nothing to do with it! It is not that God will not bring confirmation but the confirmation that you have has nothing to do with God selecting and choosing an individual. We get puffed up in our relationships with congregational settings and because we have the power that is given to us on a scriptural basis to lay hands and appoint elders, we begin to expand the experience. We begin to expand the quality of judging to the other realms, of which you and I have no business touching with our hand! It is a hard word that I am bringing to you and I am very much aware of the hardness of it and don’t you think for a moment that I am not aware of the ramifications of this word in my own life. Do not think for a moment that I am thinking or I am preaching above you. I am not! The only way I am preaching is in the unction and the anointing of the Holy Ghost. I preach this way because it is the burden that is upon my heart. I see destruction coming. I see destruction coming. I see total, absolute economical collapse coming. I see complete and total moral decay. I am not talking about decay in itself, I am talking about total, absolute anarchy of moral deprivation! This is what I see coming upon this land. What more do you need…than your own President? Come on? I was pondering this and I have not really said a lot about it. I have just been praying. Praying. Praying. One day just in the past couple of weeks God spoke to me out of the Old Testament Scriptures. We think that we are “separated” brethren. We think that we have come out of that aspect of defilement but I am telling you something, if you believe the Word of the Lord you will move into your closet in intercession. I am not talking about a little five-minute prayer! I am not talking about a little hour’s worth of travail. I am talking about “deep” intercessory position of supplication. I am talking about the righteous servant prayer of a righteous man that availeth much! But we are too busy! We are too busy making a living, or playing church. We are too busy! When we went to Kenya, God spoke to us very plainly. We believe from the Word that this Gospel of the Kingdom has to be preached to the uttermost parts of the earth and then the end comes! We have never gone to East Africa. We have never been in that segment of the World and when God began to open this door up for us we were excited. God spoke to us very clearly. Do you know who we met with? Pastors! Pastors of every denomination. Pastors! Do you know where we ministered on two consecutive nights? Saint Mark’s Anglican Church! Yes. Do you know who came up for prayer? The Vicar! You know, I think it was the first time that tongues were spoken in that church. It was a magnificent church. It was no second rate place with all its carpets, vestries and flags and its walnut pews covered with velvet, its altars of oak wood and the platform and the high altar from which the minister goes and ministers to the people. It was the first time in its history that tongues were echoing from the rafters. You have heard brother Sam pray? Well, he forgot where he was. He forgot for just a moment that he wasn’t in a conference meeting or back in the little church in Champaign and out of his mouth came the voice of God in an unknown tongue! And of course brother Sam gets very excited and he does not whisper – he shouts! I am telling you, they could have heard it clear out on the street! We are all so inhibited by all these fine accoutrements of worship that we are being stifled! Now, let us go back to the 6th Chapter of Judges. We are talking about the calling and the election. Many of us cannot start at that place and God has to reduce us. He has to reduce us to nothing. Do you hear me? There used to be a song when I was younger that spoke about the reducing power of the love of God and its ability to bring out and down the kingdoms of our heart and of its ability to completely desolate us of this realm of a natural perception so that we might have a higher aspect of vision. “…I will be with thee.” Well, we think God is with us. God is with us but He is not with us in the same aspect and in the same way that He was with Gideon. We just kind of have God tagging along for us in case we get into trouble; in case we find ourselves in deep water; in case we find ourselves in a situation where we make a mistake or we make a wrong turn; or where we find ourselves in a situation that we need the “life vest”. How many of you wear a life vest when you get into your car? How many of you take your seat belt with you when you get out of the car? None of us take these things with us and we only use them when we think it necessary. We treat God in the same way and in the same fashion and we of all people should be different. We act as if God is our safety belt. We act as though God is our life vest. We put Him on in troublous times when we get into the boat and when the water is a little rocky, but what about when the water is calm and placid? You know as a young family my children and I used to go out and do a lot of water skiing. Then when we are out there in the middle of nowhere and there are no waves, I look around and there are no life vests. There are rules. There are rules for safe boating. There are rules for driving. Do you get into your car and completely and totally disregard the rules that have been set by the government with regards to your driving? When you see a stop sign do you stop? Do you know what that stop sign means? Of course you do! When I was young we said it meant “Spin Tires On Pavement.” “Spin Tires On Pavement” and I think a lot of times that is what you and I do when we are with God. And we are there going “Vrrroom, Vrrroom!” And the smoke is rolling off our tires and our motor is being revved up; and God is saying, “STOP!” and yet we go ahead; we persist anyway! Hallelujah. How much time do you spend in righteous praying for your brethren? How much time? An hour a day? I mean “righteous” praying, where you see a problem and you get into your closet and you begin to travail – not from your perception but by the moving of the Holy Ghost. You know my perception is not always in line with the moving of the Holy Ghost. That individual might be sticking me, he may be prodding me, he may be poking me. It may be bringing me irritation, it may be bringing agitation, it may be bringing a feeling of resentment. That is not God’s intention. Do you know that? I am wrestling now. I am beginning to fight with this “Beast of Asbill. We are so busy locked up in our own presumption of our own self-worth that we are blind to the environment that is in our soul that needs to be purged! I am telling you, brethren, God is bringing a scourge to the House of God! And you are not going to like it. You are merchandising! You are selling the aspect of your gospel for compensation, for a compromise. Do you know that righteousness in its purest form is totally, absolutely uncompromising? Do you know that? It will not compromise one little fraction. It won’t compromise if it costs your reputation. It won’t compromise if it costs you embarrassment or humility. It won’t compromise if it brings degradation and defilement. You will not compromise! That is the integrity of righteousness! We are a compromising generation of humanity. We take a revelation that God has given us, that is meant to bring us to an uncompromising position of perception and manifestation and we mix it up with all our wants and our desires and our positions of personal preference. I am telling you brethren, God’s Spirit is moving on the people and your position of unrighteousness is going to be very, very blatant! Do you know how God spoke that to me? He spoke it to me while I was in Mombasa Kenya. We got into the car on Friday afternoon to go down to the meeting. We went down the road into the city of Mombasa and where do you think we wound up? Right in the middle of a Moslem demonstration. Here they were pouring out of their Mosque and there I am just as blatant as can be. You do not hide when everyone else is black and they all began to swirl around our car and they began to heap curses on the driver for driving around a white man, an American. They began to tap on my window and they began to curse me in Swahili. Do you know something? It does not make any difference what language a man curses you in, you know he is cursing you! I became very aware of my “whiteness”. So every time we got into the car they put me in the middle. Sister Ono was on this side and Sam on this side. I was covered and that is the way that you and I have to be. We have to be covered with the righteousness of God. You need to pray that in the day of adversity with its intenseness of destruction that you will be hidden, being clothed upon with your protection from heaven, that as the heat wells up and our outward façade begins to drip and melt away, [we will not give in to fear, but have confidence in the Christ within]. Do you know what is exposed in me in that natural situation? A fear for my life. A fear for my natural safety. I was struck immediately by a cry, that I would consider doing this or that to preserve my own flesh! Hearken unto me and listen to the words that I am speaking unto thee. If thou considerest thyself a part of the echelon of Kings and Priests, then the word that I am speaking, of a refiner’s fire and of fuller’s soap, is a word that I am bringing unto thee. It goes on and he goes and gets his sacrifice and he comes back and puts forth his sacrifice according to the instructions of the messenger of God. [I want you to see Gideon’s manner and obedience here.] He brought back his sacrifice and it did not say he began to scrounge around looking for rocks on which to build a pyre. It did not say that he began to scrounge around and to organize how he was going to do it. And the angel touched it with his staff and the Word says that the fire came forth and consumed the offering. For what purpose? For what reason? Do you have to have a reason? It is not wrong for you to ask God, “For what purpose?” “For what reason?” and in order to know you have to go back to the directive. What is the word, or the directive, or the instruction that God called you with? Did you not hear the message of the “144,000”? Did you not hear the message of the “Sons of God”? Did you not hear the message of the “Two Witness Company”? What did it do when you heard it? I can remember the day that I heard it. I can remember a man who came to my mother’s doorstep and we began to hold meetings in her home. It must have been thirty years ago, but I can see the room just as clear today as I could see it then. He began to preach about The Spirit and the Word. He began to preach on it and I literally sat on the edge of my chair. I sat enthralled and enraptured (if I may use that term) with the word of the Spirit and the Word and that there was the potentiality of me myself coming to grips with that reality and having that function moving in my body! Do you understand? He began to talk about kings and priests. He talked about the royal apparel, he talked about the position of inheritance, he talked about all of these things that pertain to the realm of the heavenlies. My goodness! I was beside myself! I was beside myself and it ignited something in me. I do not know if you have had the experience, but it was like I was being birthed. I was being birthed. I could feel you know, the pressure of the baby when it comes down the birth canal. I could feel the pressure against me and I could feel the world around me and I could feel the pain and the agony and all of a sudden I could experience the releasing of the freedom of the liberty of taking the first breath of “heavenly” air! Hallelujah. I will bet my cry was just like that of a baby when it begins to wail at the time of birth. It ignited something in me and it has kept me going thirty years! It has kept me year after year, into one tribulation after another, into one devastation, one destruction after another. Upon the place of ashes and into beauty and to life. To see some aspect of revelation, to experience some form of resurrection, to be lifted up out of the place of the mundane and the place of my humanity and to be transported all over the world TO SEE GOD MOVING! Hallelujah! Isaiah 61:3 says He will give “…beauty for ashes…” Have you ever sat and pondered the ashes of a fire? We like to look at the flame. We enjoy the log. We gather around it. We sing songs and we talk about how good God is, but after the fire is gone and after everybody has departed and the songs have died down and the feeling of exuberance has subsided, have you ever just sat there and pondered the ash heap? Pondered it? God says that out of that kind of a situation He will bring forth beauty. It is going to take that kind of an environment, that type of an experience to bring forth and environment that is conducive to “beauty”. Put your offering on the rock. It is a process but we want it done tomorrow! We want to be exalted. We want to have a place of preeminence. We are not willing to take the back seat! Oh yes! And it says that the offering was consumed. All right, let us go down to verse 22. It says that when all of that transpired, Gideon perceived that he had been in the presence of God. Not in the presence, necessarily of God, but yet as a representative of God, he was treating the messenger like God and having seen him he was fearful of death. But the Scriptures do not say that if any man sees an angel he will die but that if a man shall see God he shall not live. And the job that He gave Gideon to do was to go out and cut down and destroy the altar of Baal and the idols in his father’s house. He was to remove the high places that were in his personal life. There are many kings that ruled in Israel that had godly intentions. Do you know that? They were not all bad. The scriptures give an account of these kings and how some of them did many good things, even working to restore the nation back to true worship and bringing things back into God’s order. But in the Word mention would be made concerning their time of rule that still the high places were not removed out of the land. God is after the high places. He is after that place of pre-eminence that you want. He is not settling for anything less. It goes deeper than that however. It goes much, much deeper than that. Much deeper, I am telling you. We want to deal with superficial things. There is no superficiality in this last move of God upon this people! There is no time for God to deal with these little superficial things that are on the surface! He is going down into the very depths of your soul and anything that has a locked door – the lock is coming off and the thing that is inside has to be exposed; so that you might have to make a decision as to whether you are going to deal with it, or whether you are going to hang onto it and preserve it. Let me tell you something about the anointing, you probably already know it. There is a principle concerning the anointing that I have had to deal with in teaching and in fellowship. I believe that it is the anointing that breaks the yoke, I do not believe it is the format in which it is presented. So I have been a very strong advocate of my children being present and a part of the fellowship that I personally am involved in. I have raised them that way, that when we gather in a meeting they are not to play their little games, nor to be distracted and run hither and yon, but they are to sit and to listen and allow the anointing to work righteousness in them. Because, you know something, I believe that when we gather together for the purpose of exalting Jesus Christ that as the Bible says, Jesus Christ comes and He is in the midst of that congregation. It does not make one little difference who it is that God uses. If it is a man who holds a doctorate in economics that is ministering the word and he uses all of these highfalutin terms to describe the principle of God, it does not make any difference! It is the anointing and I believe that God in His Spirit, has the ability to walk up to my son or to my daughter, or to this baby over here and to begin to impart unto that child the precept of righteousness! And as I have done with my children, I am doing with my grandchildren. I believe that as a grandfather I have an extra special place that I did not have with my children, in that I am detached from them in a way by which I might minister righteousness to them without compromising because of natural affection. If you are a parent you know that when you minister discipline or corrective action to your children it does something in your soul! Your soul begins to cry out for them because of their suffering and there is something you experience and therefore you “pull the punch”. You pull the punch! But as a grandfather I find that I am not subject to that propensity as I was as a father. My wife and I had the privilege this spring of going to the conference down in Florida and we decided it would be very nice if we took our two oldest granddaughters with us, who are about three years of age. We were going to be driving down. We went down with them and we had a wonderful time. I played with them. I talked with them. I prayed with them! We read the Bible to them. We talked about Jesus. We would see different things and we would orientate it to spiritual principles and we just talked about God! We went down there and lo and behold, there they were, sitting beside us in every meeting. Every meeting! They would have their little Bibles and they would be turning it through, or they would have their little water cup with them and they would take a drink. I do not believe in this thing of getting up half a dozen times and getting them a drink of water. We take them to the potty before the meeting. We sit them down and unless the service is extra, extra long it is something that is taken care of before the meeting. Of course, when traveling with Grandpa that’s good potty training too! But you know, in the meetings when somebody is reading from the Bible, we read it with them and we take it and we point to the words as they are being read and we read out loud in their ear and we make them look at it though they cannot read it or understand it. Ridiculous, isn’t it? Well, we were sitting in one of the meetings and brother Cec gets up and ministers a tremendous word on the blood. A deep, deep word. Very spiritual! Very high! She got saved! Three years old! Isn’t that wonderful! What would have happened if she were out at the water fountain while the blood was being preached? What would have happened? She might have missed her opportunity. I am telling you, we had better wake up! She didn’t say it like that, but that was her meaning. I want to tell you something, it was not a child just mimicking something that an older person said. It made a revolutionary change in the child’s life! Something happened with her temperament. She has been a very difficult child, being very spiritually agitated by the realm of the spirits around her. But when God came into her life it brought something of a peace and serenity to her spirit and it gave her an ability to begin to obey. What if I would have allowed her to play with her blocks and run up and down the aisle? High places, brethren! High places! Before you can become a Gideon, before you can become a son of God, before you can move into the Two Witness Company, before you can move in the accoutrements of the “kings and priests” position of ministry, it is going to take some “high places” coming down! I think of personal opinions. They are not God! And all the time that they are saying that God spoke to them they are moving in unrighteousness, they are submitting to familiar devils! They are moving in an attitude of rebellion and stubbornness and being stiff-necked and they are using the thing that God spoke to them as a weapon to bring destruction in the body of Christ! It says that Gideon “went up.” Do you hear the word of the Lord? Now, what is that talking about? He made a covenant, he entered into a covenant relationship with Jesus Christ. Let me tell you something, brethren, I believe that the Outer Court has already been given to the Gentiles. I believe it. Coming up here, I was reading an article in the Omaha paper where this church had gotten a petition and circulated it between ninety-five pastors of the congregation. It was a petition to prohibit the ability of Pro-Life people to picket within a certain distance of their establishment. Ninety-five pastors! Do you want to know the reason why? It was because in the congregation of this particular church there was a doctor who made his living by aborting babies! Ninety-five pastors! Called, elected of God! You cannot tell me that they were all in that position of their own promise and of their own purpose. I believe pastors are in the place that they are in (though it be deception) because of a desire and the call of God that is upon their life and a system perverted them, sidetracked them, ensnared them and captured them and put them in an institution that is bound for hell! Boy if you think we pulled our punches when we were in the Anglican Church, you are mistaken. If you think we pulled our punches when we were in the midst of pastors, you are mistaken! Some of us are compromising! It is because we have friends and relationships and family in these institutions and we love them and do not want to see them smeared or destroyed. But your coming out and cleansing the (your) vessel is their only hope of reparation. If you think that that is not scriptural, I suggest that you read the book of revelation where it says that He came to one of the churches and He said unto then, “Repent.” I think we are in the need of some genuine Holy Ghost old-fashioned Hell’s fire repentance! What is repentance? Who here was in our Bible Study? It means to “burn.” There was an association with fire and burning. Fire and burning! What do you think! Yet it does not change that thing on the inside of us that promoted us to be that, or to do that. It is still working to bring us into a place of conformity. Do you hear me? There is something like gravity still working to conform you. That was what God was telling Gideon. He said, “Take an oxen of seven years (Seven is the number of perfection; ‘Let us go on unto perfection’), but first tear down the altar. Build another altar and then slay the bullock.” One high place was not enough, he was going after the bull too. The tendency of the bull – the humanity, the thing (whether you are male or female) that is in you – the bull! The bullishness with which you approach God. The bullishness with which you handle God’s business. The bullishness in which you move in our own private environment when nobody else is around! Only when Gideon did that, was he ready for the commission! Ready to do what God was requiring that he do and that was to smite the Midianites. You and I, we want to go right out and engage the Midianites with “The Sword of the Lord and Gideon.” We rush headlong out into the fray and before we know it, we are flat on our backs, looking up at the ceiling and wondering, “Oh God, where are You?” Hallelujah. I think we are living in a very, very, very serious time! If the Lord permits, I would like to get into the depth of the thing that God is requiring of you. I believe that God has spoken to me over the years and in the many places that I have been and the many things that I have encountered and He has begun to unfold something that I have begun to put to work in my own life and I have seen the thing begin to function and to operate. Not in accordance to what you might perceive or what you might think, but in accordance to what I know – where I was and where I am today! If God permits. Amen.